Lately I have been so much better about getting my workout done in the morning. I am usually not a morning person and I love to work out in the evenings. In the morning, I just love staying in my warm, cozy bed for as long as possible. It always wins over getting up in the darkness, getting dressed, and going to the gym for an hour workout. Ever since we had a baby, fitting a workout into our schedules has been a challenge. I remember when we could just go workout whenever we wanted, but now it takes a little more thought and planning to make sure someone can stay at home and watch baby. We pretty much have our fitness routine down now, but it means that some days when Fabi is going to be working late, I have to get myself out of bed at 5am and head to the gym to get my workout in for the day! Surprisingly, on those 5am workout days I have so much more energy for the rest of the day! It is one of those hate-to-do-it but so-glad-you-did-when-it-is-over kind of things. Have you guys noticed that smoothie bowls are kind of a big thing right now? I was perfectly fine with drinking my smoothie in a glass, but now apparently it is even more cool to eat it in a bowl. Why? You can add tons of fun toppings! I was skeptical of the whole idea at first, but now I am addicted to trying different combinations. It is so much fun! I recently added a smoothie bowl to my morning routine after working out. I feel so amazing after getting my workout done and then nourishing my body with a yummy blend of fruits and vegetables. This energizing green smoothie bowl has so many vitamins, antioxidants, protein, fiber and healthy fats all in one meal…and it tastes good! In this green smoothie bowl, I use spinach, avocado, frozen bananas and strawberries, ground flax seeds, whey protein powder, yogurt and a splash of watered-down orange juice. The yogurt gives it that thickness that makes it more eatable in a bowl. 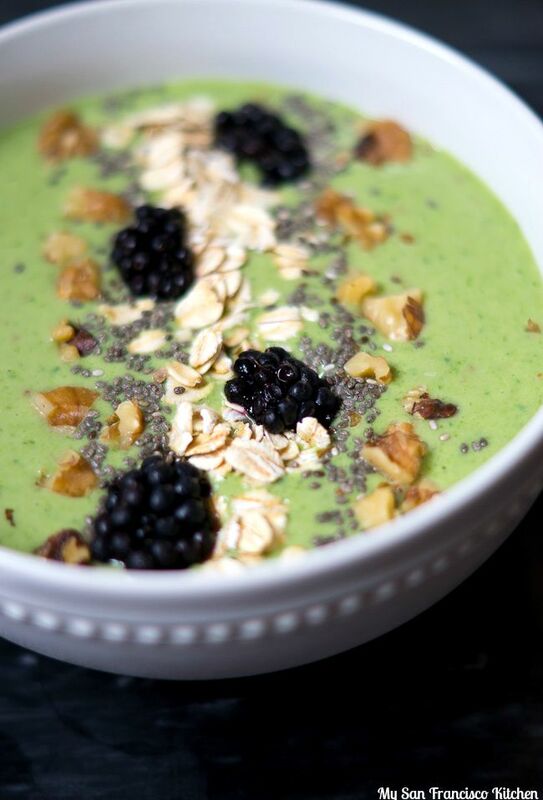 I think fresh, juicy blackberries go so well with this green smoothie bowl recipe. I also like to top it with oats, walnuts and chia seeds. 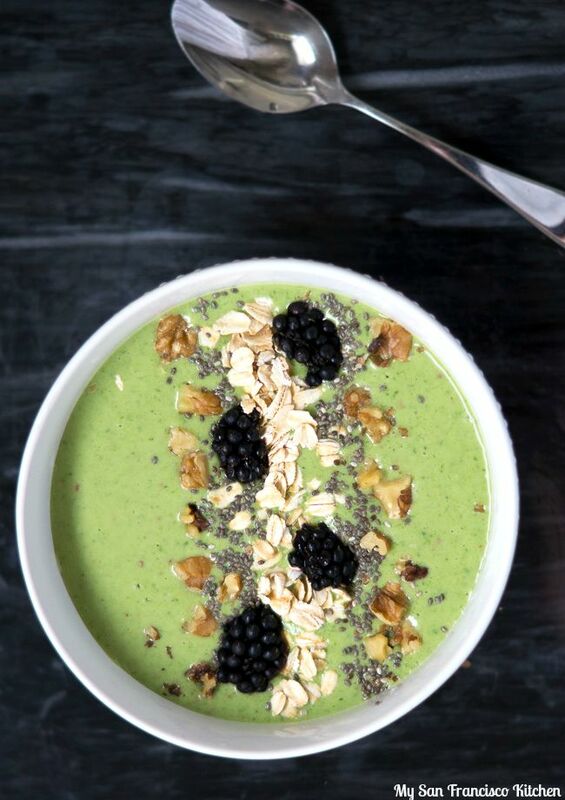 What toppings would you like to try with this green smoothie bowl?? Add all ingredients (except for the toppings!) 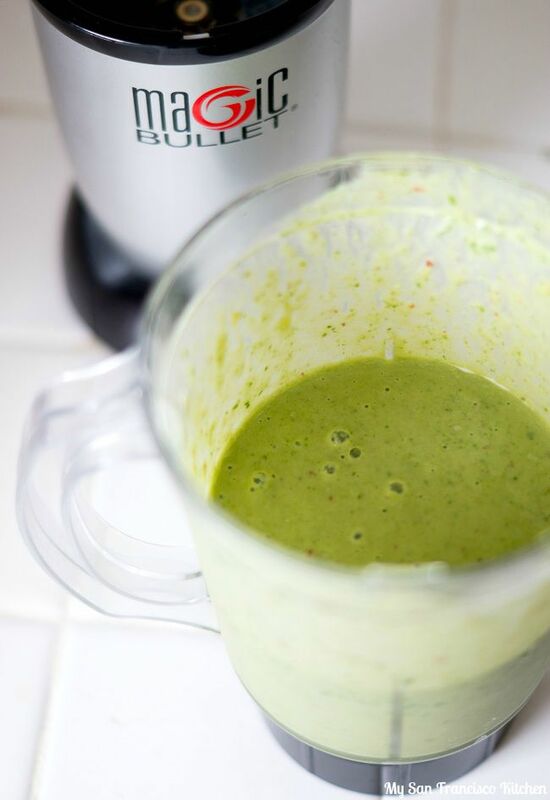 to a blender and blend well. This entry was posted in Breakfast, Organic, Snack, Vegetarian and tagged blackberries, chia seeds, green, healthy, oats, smoothie, smoothie bowl, spinach, walnuts. 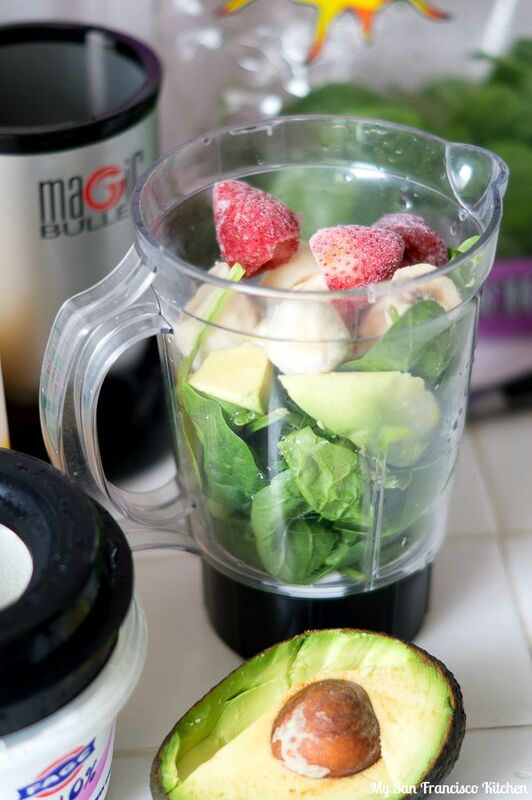 I haven’t gotten used to adding avocado to smoothies just yet! I think I prefer its texture in whole fruit form. But I love that you added a full tbsp of ground flax to this recipe – great idea!